I have studied the economy of Education at the University of Tartu and have worked in the business since 1997. At the beginning of 2008 I became aware of spiritual development and have been a Reiki level I and II, participated in Rännaku seminars, learned the Silva Method and studied the PSYCH-K method in depth. I’ve gone through a number of programs with Bob Proctor and in 2010, I participated in Harv Ekeri’s “Millionaire Mind Intensive” course. Since 2009 I have worked with several trainers of the PSYCH-K method, both in Norway and the U.S., and assisted PSYCH-K workshops for beginners and advanced. 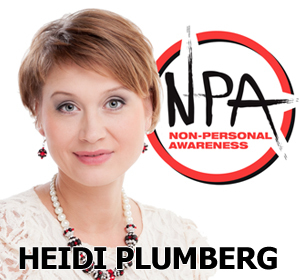 NPA is a wonderful method to find, it allows people to get in touch with feelings and experiences that other methods haven’t reached. The method makes it possible to make major changes in their lives and transform stuck energies. “The NPA Process can solve problems on a daily basis, whether they are tiny or large. It brings a simple way to implement daily well-being, a way out of old ways of thinking, patterns of behavior and emotional turbulence. NPA can be applied to old barriers and release your dreams, desires & goals. NPA will bring a completely new and comprehensive approach to relationships, whether it is a couple relationship, for friendship, relationship, business relationship, or any interactions between people. The old way of meeting, perhaps that was focused upon the idea of compromise or surrender where someone was always the “loser”, can now become a mutually beneficial collaboration – a joint creation.